David Letterman is retiring in 2015 after 33 years as a late night host. Letterman announced the news during a taping of Thursday's episode of "Late Show." He called CBS president Leslie Moonves before the program, "And I said ‘Leslie, it’s been great, you’ve been great, and the network has been great, but I’m retiring.'" The late night host explained that "Moonves, he and I have had a relationship for years and years and years, and we have had this conversation in the past, and we agreed that we would work together on this circumstance and the timing of this circumstance." "I just want to reiterate my thanks for the support from the network, all of the people who have worked here, all of the people in the theater, all the people on the staff, everybody at home, thank you very much," Letterman said, then joked, "What this means now, is that Paul and I can be married ... we don’t have the timetable for this precisely down – I think it will be at least a year or so, but sometime in the not too distant future, 2015 for the love of God, in fact, Paul and I will be wrapping things up." 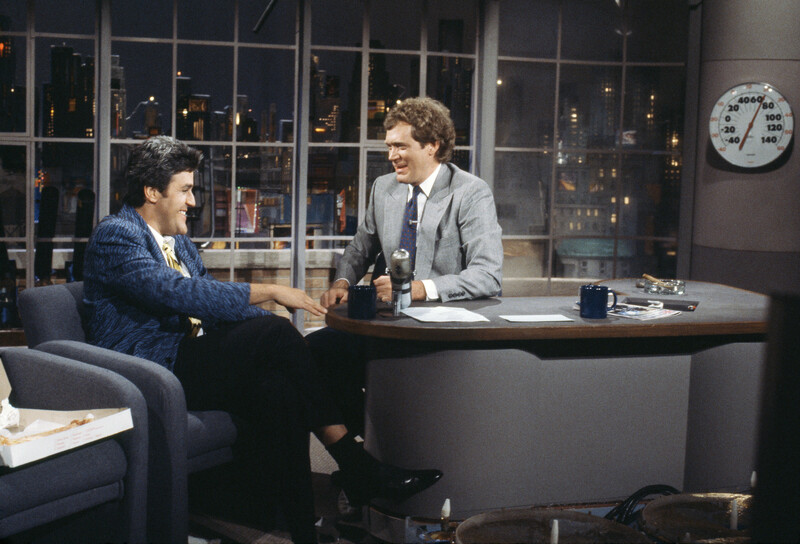 By the time Letterman retires, he will have hosted CBS' "Late Show With David Letterman" for 22 years. He previously hosted NBC's "Late Night" for 11 years. Moonves said in a statement that "we knew this day was getting closer" when Letterman went with a one-year extension for his contract, "but that doesn’t make the moment any less poignant for us." "For 21 years, David Letterman has graced our Network’s air in late night with wit, gravitas and brilliance unique in the history of our medium," Moonves stated. "During that time, Dave has given television audiences thousands of hours of comedic entertainment, the sharpest interviews in late night, and brilliant moments of candor and perspective around national events. He’s also managed to keep many celebrities, politicians and executives on their toes – including me." "There is only one David Letterman," Moonves added. "His greatness will always be remembered here, and he will certainly sit among the pantheon of this business." Zooey Deschanel, "New Girl" Lena Dunham, "Girls" Edie Falco, "Nurse Jackie" Tina Fey, "30 Rock" Julia Louis-Dreyfus, "Veep" Melissa McCarthy, "Mike and Molly" Amy Poehler, "Parks and Recreation"